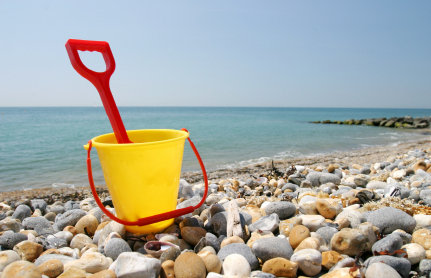 Going on Holiday – Is your Home Insured? When you’re counting down the days until you jet off into the sun, it’s easy to forget what you need to do to ensure your home is secure and financially covered for all eventualities while you’re away. Recent Home Office crime figures show that 4 out of 5 burglaries happen when a house is unoccupied, so it really does pay to be careful if you’re going on holiday. Of course, it’s not only break-ins you should be wary of; pipes can burst, roofs fall through and neighbouring houses go up in flames. There are a good number of reasons you could come home to find having home insurance is vital. But if, for whatever reason, you’ve broken the terms of your cover policy, perhaps by being away for longer than the policy allows or not having properly locked all your windows, you could find that any claim you make is null and void. Firstly, especially if you’re going away for more than a couple of weeks, double check how long your policy schedule states that your home can be unoccupied for. In most cases this will be 30 days, but it might be as short as 2 weeks with cheaper cover. You might be a retiree who spends a couple of months or more away in the winter months, and in such cases you could need extra cover. Most insurers will cover you for the extra time away for a small additional sum, but be aware they might insist that the central heating is timed to come on to avoid cold damage, or maybe lights to give the impression someone is in the property. If you don’t take standard practical steps to ensure your home is secure, you might find a claim for burglary is rejected. Go around the house and test all locks on window and doors. If you have loose windows or dodgy French doors that you’ve been meaning to get fixed, do so immediately! And if you’ve got an alarm, and stated on your home insurance application that you use it, then don’t switch it off while you’re away simply so that the neighbours aren’t annoyed if it starts up. Lock all outbuildings such as garages and sheds, if they have locks fitted, as your insurer will expect this and it may be in your cover terms. Don’t leave keys under outside bins or doormats if you have a cleaner coming, for example. Again, this could invalidate any claim if those keys were found by a burglar who then entered your home. Some policies might only cover more valuable items (often those worth more than £2,000 or £2,500) and those items you have extra cover for such as expensive jewellery or antiques if they are locked in a secure place, such as a safe or lockable office cabinet. Ordinarily most policies don’t require you to turn off the gas or water supply before you go away, but in some cases the terms of your cover might. It’s always worth checking the small print, or calling your insurer if it’s not clear. Some policies will include cover for your possessions while you’re away. Many people lose or have their mobile phones, watches, laptops and jewellery stolen while on holiday and it may be that your insurance covers you. However, many policies won’t and it’s always a good idea to check; it might not cost much more to include ‘away from home’ cover either for a short period or year round.